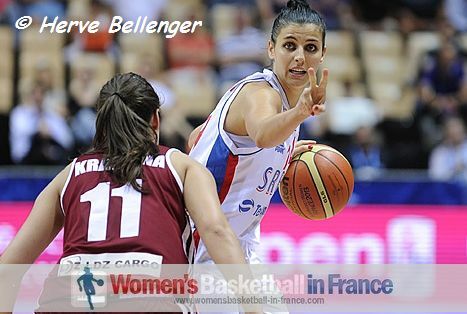 Serbia are back in the EuroBasket Women 2013 quarter-final qualification race in Group F after beating Belarus (54-48). In the opening game of day 4 the Czech Republic beat Great Britain (66-55). 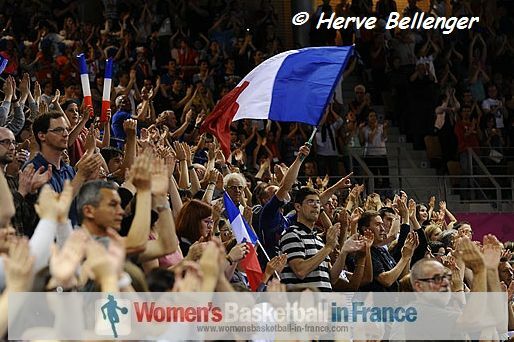 Meanwhile les Braqueuses of France remain on track for the quarter-final after defeating Croatia (78-70). It was neither a good day for Great Britain nor FIBA Europe game commentator Mark Clark as his daughter, Ella Clark, rolled her ankle shortly after entering the court. She was last seen leaving the arena on crutches. Interesting fact: In the match between Serbia and Belarus only three Serbian players scored in the first 25 minutes: Tamara Radocaj 9, Milica Dabovic 11, Ana Dabovic 9. EuroBasket Women game highlights of the day 4 matches are to be found after each group report. France were brilliant for the first 20 minutes and not only led the match (43-19) but also dominated the rebounds (31-12). Croatia picked themselves up during the second half with an aggressive inside outside game and made France look ordinary for the first time in the 2013 edition of EuroBasket Women. However France were never in danger of losing the match given their lead. With their win (78-70) they booked their place in the quarter-final. 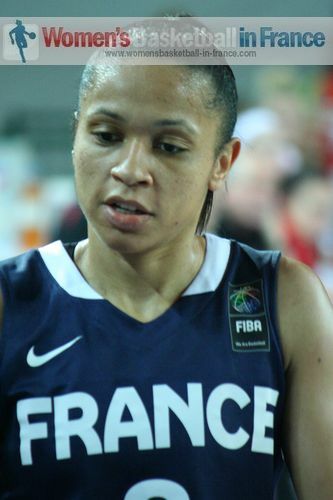 Edwige Lawson-Wade (in picture) was the top scorer for France with 12 points while Emméline Ndongue was a perfect 5-of-5 from the floor to contribute 10 points. Ana Lelas had 18 points for Croatia. Serbia's game plan worked to perfection in their victory against Belarus (54-48): In addition to winning the battle of the offensive rebounds, they also controlled the tempo of the match. Ana Dabovic (in picture) was the driving force for Serbia's win with 13 points, 6 rebounds, 5 assists and 3 steals. Despite a good spell during the second quarter, Belarus were taking the lead briefly but were unable to take control of the game. Yelena Leuchanka from Belarus missed a big part of the second quarter after receiving a knock to the back of her neck. Although she returned at the start of the second half and dominated the rebounds, she could not inspire her team offensively. Furthermore, the starting point guard Aliaksandra Tarasava fouled out by the end of the third quarter. Serbia took hold of the game and never looked back after 4 straight three-pointers at the end of the third quarter (43-32). Michaela Zrustova (in picture) pulled out all the stops as she led the Czech Republic to victory against Great Britain (66-55). She scored 20 points which included 12 points from three-point land (4-of-6). She also dished out a couple of assists and picked up 2 steals. In an entertaining first quarter, Tereza Pecková was the catalyst for the Czech Republic. In an 11-2 run her big three-pointer and a block helped her team reverse a (6-11) deficit and take the lead for good (17-13). Great Britain's hustle plays kept them in touch (23-25) with three minutes to play in the second quarter. However this was the closest Great Britain was to get in upsetting their opponents. Zrustova scored the last 7 points of the half for the Czech Republic to take command for good (32-25). The rest of the match was a scrappy affair which came alive in the last couple of minutes when the Czech Republic coach, Lubor Blazek, picked up an unnecessary technical foul. Nevertheless, the Czech Republic players managed to keep their focus and forced Great Britain into long offences.